There’s a new addition to the glacéau-line up – multi-v zero! The newest member of the glacéau family is sugar and calorie free and contains only natural flavours. The Coca-Cola system wants to offer people a greater choice by providing the option of a calorie-free vitaminwater that, like all the other vitaminwater variants, has all natural flavours, no artificial colours and is enhanced with vitamins. glacéau vitaminwater multi-v zero is sweetened from a natural source using stevia leaf extract and has a refreshing and great tasting lemonade flavor. Multi-v zero contains 11 essential nutrients including vitamins c, b3, b5 + b6 which contribute to the reduction of tiredness and fatigue. glacéau vitaminwater was invented in New York in 1996 by entrepreneur Darius Bikoff. It launched around the new millennium and has since become the leading active lifestyle drinks brand in the US. 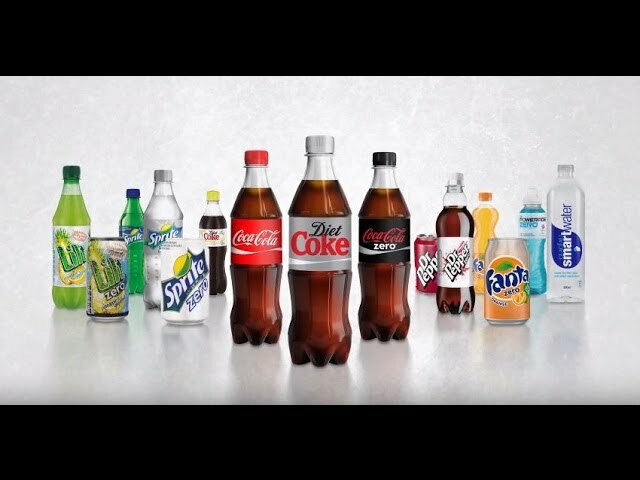 In 2012 Coca-Cola European Partners (CCEP) reformulated the entire vitaminwater range in the UK. By introducing stevia-based sweetener to the new blend of ingredients, they’ve been able to reduce the drinks’ sugar and calorie levels by 30%. glacéau vitaminwater is the number one functional water brand in GB and launching a zero calorie option forms part of CCEP’s wider commitment to offer consumers greater choice. It's available in stores now, so go out and grab one and let us know what you think!